Current: How to be a Good Product Owner in Scrum Project? 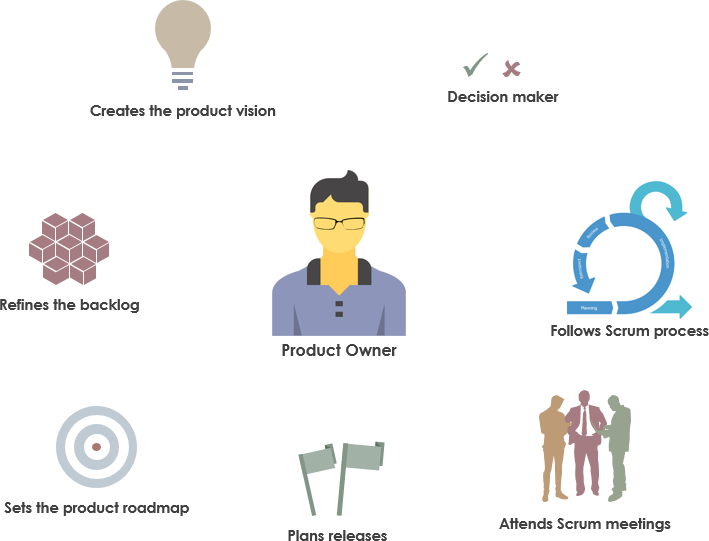 A Product owner is the guardian of the product vision and goals, because the focus on a Scrum project is to deliver business results and values. So the question is how can one be the best product owner possible? We believe, based on our experience, that a product owner should possess the following key qualities. These qualities are depicted in Figure Below. The Product Owner creates, manages and owns the Product vision. The Product vision describes the purpose of a Product, the intention with which the Product is being created and what it aims to achieve for customers and users. 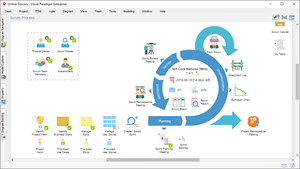 As a Product Owner, you are responsible for Product Backlog Management, in order to maximize the value of the Product. The Product Backlog is the single source of truth which contains all the work to be done on the Product. The Product owner is responsible for the management of the product roadmap. The concept of a product roadmap is a high-level strategic plan that describes the likely development of the product over the next period of time. The roadmap should support the products’ purpose and vision and it helps the Product Owners to keep their stakeholders aligned. The roadmap also makes it easier to coordinate the development of different products and it fosters transparency in order to manage customer expectations. Like the Scrum Product Backlog the Release plan is not a static plan. When new knowledge is available, the entries in the Scrum Product Backlog are required to change and re-estimate by the product owner accordingly. Therefore the Release Plan should be revisited and updated in regular intervals by the team, e.g. after each Sprint. To protect the organization as a whole, in terms of strategic direction and ROI.